A friend recently sent an article my way with this interesting headline: “Number of ‘ART’ Babies Reaches 5 Million.” The article explained that, according to statistics, there are around 1.5 million ART cycles every year with a resulting 350,000 babies. This means that the success rate for artificial fertilization is roughly 30 percent. This also means that 70 percent fail. The failures are defined in the industry as “left over” embryos—babies who are not implanted in their mothers and are either frozen or killed. Not a very appealing picture, but accurate nonetheless. Further proof that something about this subject smacks of disregard for human dignity comes from the practice of designing your own baby by using ART. By using a procedure known as preimplantation genetic diagnosis, a clinician can examine the characteristics of an embryo and decide which genes are good and which are undesirable or detrimental to the baby’s health. In other words, Dr. Caruso began seeing embryos created in the laboratory as human beings—each as unique and unrepeatable individuals. One of the basic purposes of marriage is blurred with IVF. 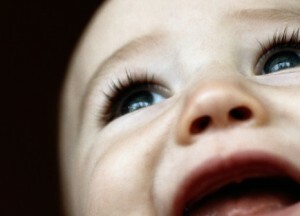 Children as gifts from God have become desires and pawns in the life process. IVF breaks the very tenet of the principle of double effect. The nature of the act is not good. The good effect is a wanted child. However, that desire does not outweigh the negative nature of the act. One need look no further than the way in which embryos are treated to see this. The Catholic Church in her wisdom understands and teaches that there is no such thing as a right to a child, as that argument would be “contrary to the child’s dignity and nature.” At the same time, the child has the right to be the fruit of the conjugal act of his mother and father. Yet, sadly, the facts presented here are not well known, particularly among couples who are desperate to have their own children and have discovered they are infertile. For them we know the good news—that there is help for infertility that does not involve unethical, deadly practices such as IVF.